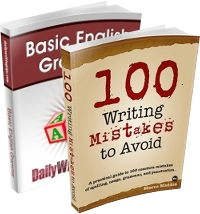 The error of using despite to introduce a noun clause may be more common with ESL speakers, but plenty of examples can be discovered in the writing of native English speakers. Many middle-class individuals find that they cannot obtain good medical attention, despite they need it badly. Furthermore, this is the first evidence showing that ANP and VNP exert different effects in fish despite they share the same receptor, NPR-A. Our data show that OA is quite neglected by Italian allergists, despite they have a pivotal role both in early identification and in primary prevention of OA. Indian PM Modi will not address the General Assembly despite he will be in New York for the occasion. This is mainly due to the fact that intra-technique solutions are considered as independent despite they are derived from identical observation data. All this has led Houdini to become the most recognized name in magic despite he has been gone since 1926. In each of these examples, despite is being used as if it were a conjunction, to introduce a noun clause. The function word despite is a preposition. 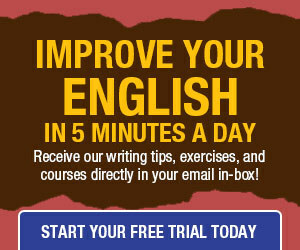 The preposition despite is followed by a noun or a noun phrase, never a clause. Court Says Man Owes $30K Child Support Despite Proof He’s Not The Father. An art exhibit was opened in Fukushima, Japan, despite the fact that no one can see it without donning a hazmat suit. In each of these examples, despite governs a noun: objections, proof, fact. The erroneous examples given above may be corrected by following each use of despite with “the fact”: “despite the fact they need it badly,” “despite the fact they share the same receptor,” etc. Another way to correct the incorrect sentences would be to use a true conjunction like although: “although they need it badly,” “although they share the same receptor,” “although they have a pivotal role,” etc. Note: The word despite also functions as a noun and as a verb, but this post is about its prepositional use. The erroneous examples may also be corrected by changing the verb to a gerund (and subjective pronouns changed to objective, if present), e.g. “despite needing it badly” or “despite them sharing the same receptor”. Please give examples of ‘Despite’ functioning as ‘Noun’ or ‘Verb’ in sentences.